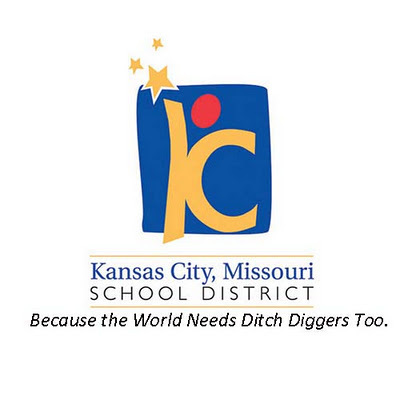 Since the Kansas City School District will officially be stripped of it's accreditation on January 1st, 2012, some students currently enrolled in the Kansas City School District are planning to "jump ship" and transfer to school districts outside of the Kansas City School District in order to graduate or attend an accredited school. On Friday, 5 of these school districts filed a petition in court to temporarily block students from transferring out of the Kansas City school district and into neighboring school districts with accreditation still in tact. The five school districts that petitioned the court were Blue Springs, Independence, North Kansas City, Lee's Summit and Raytown. Under normal circumstances, parents can send their students to any school they wish. If they live in the school's district, the students can attend for free and the school district provides transportation to those areas. However, if a parent wants to send their student to a school outside of their district, they must pay a tuition and provide their own transportation, for example, the tuition to attend a school in the North Kansas City School District is currently $9500.00 UP FRONT. The City of Kansas City only has budgeted $3770.00 per student for transfers, and obviously that amount is not going to cover it. Not only that, but most parents of students in the Kansas City School District most likely couldn't even afford a third of the cost to transfer their students to neighboring districts. Parents: Don't Panic! Since it is unlikely that any students coming out of 4 years in a Kansas City School District school are planning on attending Harvard on an academic scholarship, there really isn't much reason to panic and those students attending and getting ready to graduate from a Kansas City School District should have no problem getting into a college that they qualify to get into with SAT scores or athletic scholarships. If a university wants a student, they can, at their discretion, accept a student who has a degree from a non-accredited school district. If you are the parent of a student who will graduating from the Kansas City School District, it might be best to get your kid studying HARD for the SAT test, and not worry about shuffling them off to a strange new school. If a student's SAT scores and academic record are in order, they can go to any community college including Longview Community College, Johnson County Community College, or any Metropolitan Community College to get their start. After 2-4 semesters at any of these community colleges, if they perform well they can go to any school they want and the unaccredited high school diploma will not be a factor. The petition that was filed by the 5 school districts (Blue Springs, Independence, North Kansas City, Raytown and Lee's Summit) is attempting to get some sort of organized plan in place before estranged new students just start pouring into their schools. Most students from the Kansas City School District will not be able to afford to transfer to another district, but they should not panic as they can still go to college unobstructed as long as their SAT scores and academic history are in order. Also, parents, don't forget that not every child is cut out to attend college. If you are a parent of a student who is performing poorly, and scored poorly on the SAT exam, there are trade schools and on the job training programs out there. Remember the immortal words of Ted Knight as Judge Smails from Caddyshack, "The world needs ditch diggers too!" This article is correct, there is no reason to panic if your child is currently in the Kansas City School District and getting ready to graduate. Your child can still attend college, go to community college, or get into a big university with good SAT scores and a solid academic history. Yes, good SAT scores and a good grade point average will still get you into most colleges. There is no reason to panic because the Kansas City School District lost it's accreditation.